This feature improves space management by detecting quantitative occupancy flows and providing useful data for economic savings. This aspect is particularly significant, for example, in rented work settings where optimisation of spaces in relation to effective use is fundamental. In retail settings, on the other hand, it is possible to collect useful information to updating displays of goods in relation to purchasing patterns. 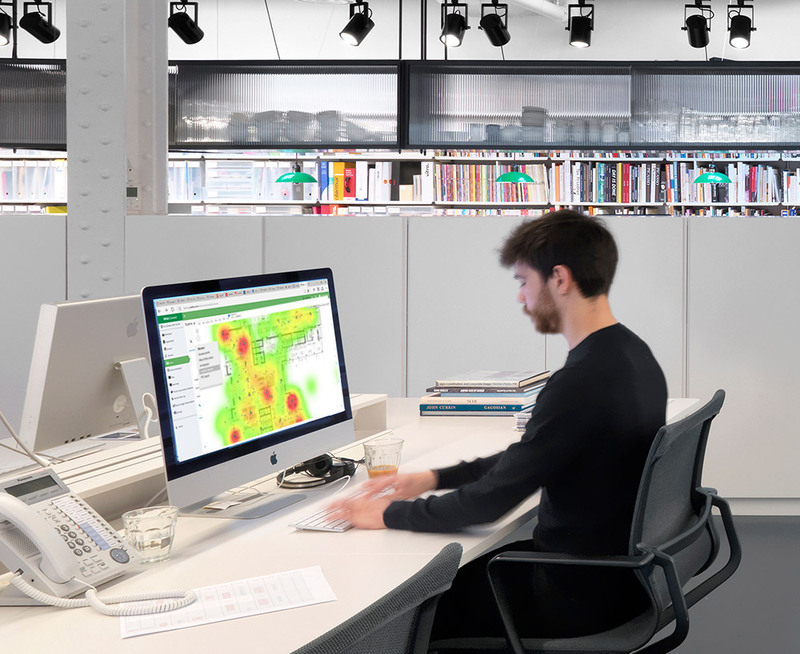 Customers can autonomously integrate the beacons into their App or the App can be developed on request by iGuzzini. The Smart Services functions indicated are enabled via beacon devices that can be integrated into low-voltage track or luminaires exploiting the benefit of having a regular network that is always powered and distributed throughout the space. 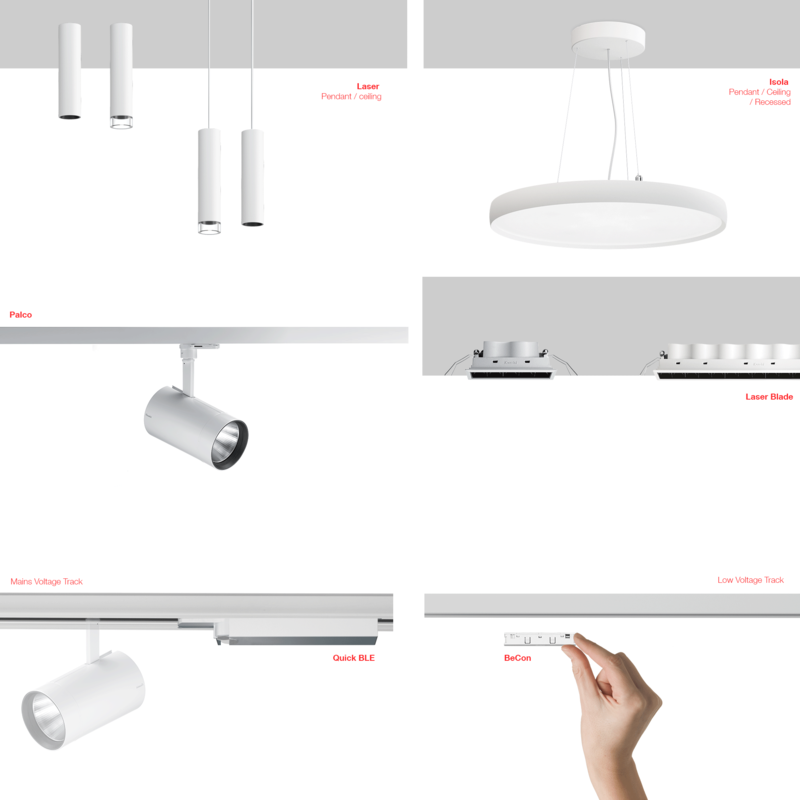 For details about the composition of the system and the dedicated App, contact iGuzzini. Isola, Laser, Palco and Laser Blade luminaires, Quick BLE and BeCon devices ensure that the system is ready for Smart Services.